I always claimed to “hate” running. This fall I just got tired of my negativity over it and decided the only way to beat my attitude was to run a half marathon. Basically, just make running a part of my lifestyle. After just a couple months of running I went from running barely 1 mile to being able to run 10. It was quite a difference for me! Over the holidays with travel and family gatherings, my training slowed down. I’d determined to only run twice a week, and I did just that. It was a mistake. I’m basically starting over now. I was able to run once last week. I’d intended to run several times, but ended up coming down with a stomach bug. So now my training and this blog are starting about a week late. Today was rough. I’d hoped to do 6 miles (3 laps), but stopped after just 2 miles (actually less). The Canada Geese poop was all over the trail, and no matter how I tried to dodge it with my jogging stroller, it did end up on my tires. So disgusting! I couldn’t take it anymore. Starting tomorrow, I plan to run the boardwalk at the beach, until it rains and the bird excrement is washed off my usual course. I got out and ran, even though it’s cold. First run since being really sick. I’m slow. My average pace was a 9:36 minute mile, so I have a lot of work to do. Today I used Run Keeper for the first time. According to the app, the track I’ve thought was 2 miles for a few months now, is actually 1.8 miles. Calories burned are most likely off, especially since I pushed a jogging stroller with a toddler. He’s a skinny toddler at less than 23 lbs., but it’s still a little extra workout. My race is in April, and I’m a bit concerned. I know I have a lot of work to do. Hopefully my running partner will feel better soon (she had the same bug), and we can start training together again! I always do better running with someone else than alone. How was your day? Did you meet your fitness goals? 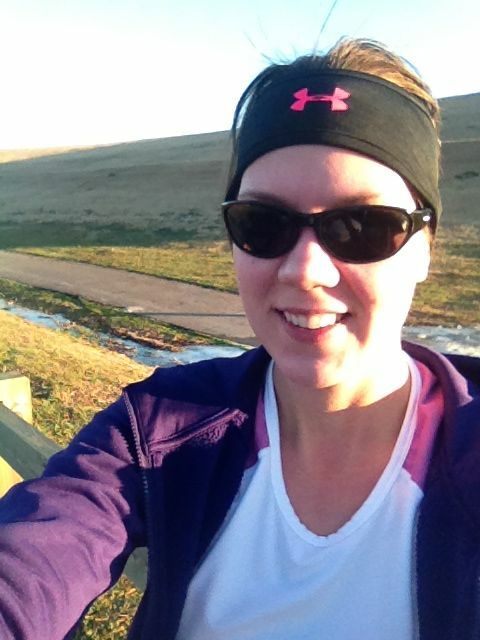 This entry was posted in Running and tagged cold, jogging stroller, running, training, winter on January 8, 2014 by Elisebet.